Welcome to our weekly Five Minute Friday link-up! So glad you’re here! Be sure to scroll down to learn about some exciting upcoming events and to read posts from other bloggers. If you’re new, you can learn more about how the link-up works by clicking here. Join the @5minutefriday writing community as we write on the prompt, LOYAL. When we were in South Africa, I was struck by how many things were exactly the same, even after five and a half years. The book club I used to attend is still meeting at 4pm on the third Saturday of every month. The woman who had a stroke before we left is still getting a ride to church every week and getting pushed up the wheelchair ramp to listen to the service. The lady who sells flowers on the corner is still there, sitting on the same upside down bucket bringing beauty to her corner of the world. The guy who sells newspapers at the traffic light by the park is still hustling at the same intersection. We had dinner one night with one of my former Bible study leaders, his wife, and his parents. About seven or eight years ago we used to pray each week that God would sustain his business. Now, I ask him how things are going at work, and he tells me he has over 50 employees working for him. When he’s out of earshot, his dad says, “His employees are very loyal to him.” I don’t have to ask why. He treats them well. May this be our Christian witness, too. That day after day, week after week, month after month, year after year, we’re still showing up, still doing the work, still treating people well, still following hard after our Lord and Savior Jesus Christ. Not that we can do it in our own strength or willpower, but with His help and by His sufficient grace. I’d love to have you join us for one or all of the following upcoming events! September 10-14: Hope*Writers membership is open! 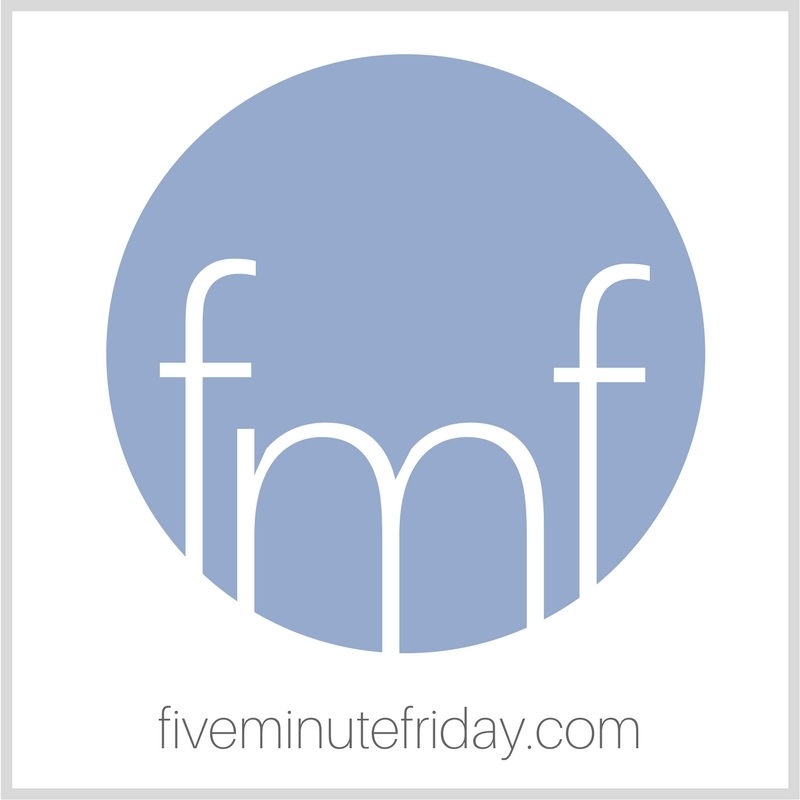 Visit fiveminutefriday.com/hopewriters to join the waitlist (affiliate link). That’s all for this week! Thanks for being here! Join the link-up with your own five minute free write below, then be sure to read your neighbor’s post and leave an encouraging comment. Kate, FMF wrote on “loyal” August 26,2016 – what is it about August (same week) that makes you think of being loyal? Perhaps a loyalty to the word and the season! I enjoyed your post above – refreshing to see such loyalty after all these years. Amen? Thanks, Kate, for giving us a window into your world. You have to love people like this that transcend the routines of life with consistent love and service. How cool that your friend’s business is thriving! When we start new ventures, we often don’t understand the impact of showing up every day and working hard.